Having beautiful and efficient cabinets in your kitchen or bathroom can make a world of difference. Not only do the right cabinets improve your room’s appearance and increase your home’s value, it can also make your rooms more functional and organized. Our carefully crafted cabinets are customized to your exact specifications, using only the best materials on the market. Our cabinets are long-lasting, sleek and user-friendly. They also come in a variety of colors, styles and materials. Most homeowners don’t realize how much cabinets contribute to overall home décor. Indeed, quality kitchen and bathroom cabinets can be the difference between a plain home and a hub of comfort that will leave your guests in awe. Cabinets can create the perfect backdrop for your walls, floors, and countertops to achieve a truly unique look. When considering custom cabinets in Houston, whether you need cabinet installation or are starting a remodeling project, few companies can do it better than Houston Custom Cabinets. To make sure that we give our customers the best services available, we stock high quality cabinet brands that will elevate the status of your home. At Houston Custom Carpets, you can choose from the following available brands. Wolf cabinets are truly in a class of their own. Wolf cabinetry achieves a blend of modern and traditional flavor. We give you the option to choose between slab doors and the classical open-look appearance. Whatever your preference is, Wolf cabinetry makes you feel proud entering your kitchen. These cabinets combine form and function to offer a budget-friendly and durable selection. If you like Wolf cabinets, Houston Custom Carpets is ready to install these in your home to make your home’s cabinets trendy and functional. We also specialize in Waypoint products. The Waypoint brand offers authentic and classy maple cabinets for both the kitchen and the bathroom. With multiple finishes and door types to select from, we can work with you to match your individuality and preferred home décor. Our cabinet suppliers possess deep knowledge of quality cabinet styles for the entire home. Looking for authenticity? Choose Waypoint. Among the best quality cabinet hardware on the market are those of the Jeffery Alexander brand. These cabinet suppliers focus on functionality, modern elegance, and customization. At Houston Custom Carpets, we can equip your home with Jeffery Alexander cabinet hardware that comes with an array of handle choices, styles, materials, and finishes. Anyone looking for custom cabinets in Houston should look no further than Houston Custom Carpets. 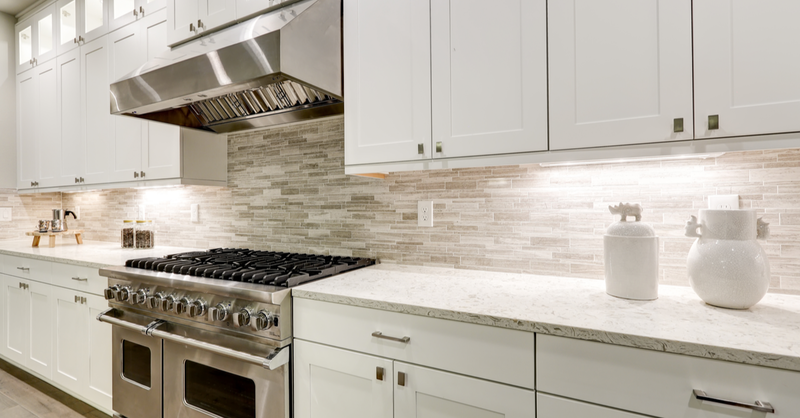 The brands we offer for cabinetry add value, customization, and quality to the home. We also focus on the needs of our customers by working closely with you to achieve the desired look of your home. Need remodeling? Contact us today.